Starting a new blog is intimidating, right? Grabbing attention, building readership, having to produce a lot of content to build trust on your new domain. My old blog brought me to where I am today, and I’m scared as hell to leave it behind. But that’s what I’m doing right now. ‘But Why? Do you ask? I’ll tell you in just a second. If you’re in a similar situation, read on, this decision-making process might help you make a better decision for your blog as well. Moving on. The original idea was to move my blog from its old domain (roy.roypovarchik.com) to live under the same roof with my official site – roypovarchik.com in a subfolder (roypovarchik.com/blog). You know, like any normal person would do. In midst transition though, I understood I’d be better off leaving my old content where it is. “Wait, But what about your backlinks? and traffic?! and keywords?! !” You may ask. I won’t lie, I had my moments of anxiety about it. But in the long term, I think it’s the right option. A few years ago, when I was still figuring out my first steps as a consultant, I wanted to start a personal blog that will document my journey. (Now I have ‘The Journey’ for that). Back then, I decided that I will save the “roypovarchik.com/blog” to my more professional content – after I decide exactly what my angle is going to be. As the old saying goes, ‘what’s temporary become permanent”, and slowly I’ve started writing a more professional blog on the roy.roypovarchik.com blog. And they all started to generate traffic, comments, social shares and more. They even grab the attention of authority blogs like Buffer, Kissmetrics, ConversionXL and more. The more I wrote, the better my “real estate” became, and it was harder to decide to move out. But it also caused a lot of problems. Going from the “roy.roy…..” to the new “povarchik.com/blog” is me correcting that original mistake. A few years too late. The fact that something is working, doesn’t mean it ain’t broken. The first one, I don’t know if you’ve noticed it, but the name “Roy Povarchik” is a mouthful. I love my heritage enough never to change my last name, but I felt like I could make it easier on people by leaving the ‘roy.roy….” thing behind. A simple roypovarchik.com/blog sounds easier to me. Then, there’s the professional level. 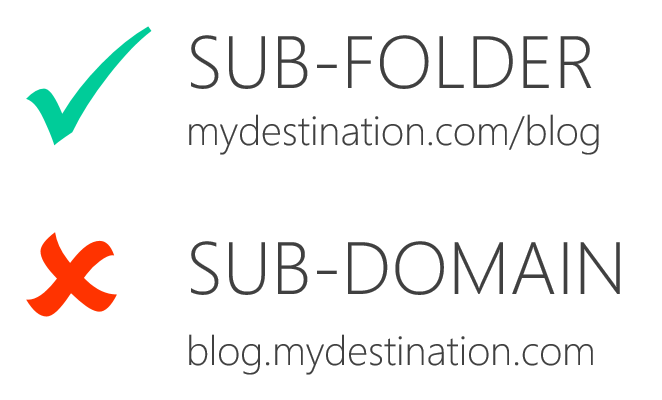 The right SEO decision for my website is to have my blog under a sub-folder. By adding my blog as a subfolder, I’m helping Google understand that the blog is a part of my website, and the content and links I get, will impact my entire site. While keeping my blog on a separate sub-domain, I’m making it harder for myself to promote my content through SEO and I can optimize Google’s crawler budget better. Since the new blog is located on the same root domain, I’m not concerned about leveraging the history of my URL as they are at the same age, so I’m not building trust with Google from scratch. Third, and the smartest one from the business side – Having the blog in a subdomain, for me, was a financial mistake. Eventually, I ended up using a lot of the same tools both on the main site and the blog sub-domain. But because it’s a subdomain, I was paying double for everything. Starting with optimization plugins and software — everything needed to double install, double setup, double payments and so on. Buying the X theme – twice. Paying monthly for plugins like Sumo, YOAST, and others – twice. By going from sub-domain and to sub-folder- I can save 50% of my tools spending and time maintaining the different platforms. 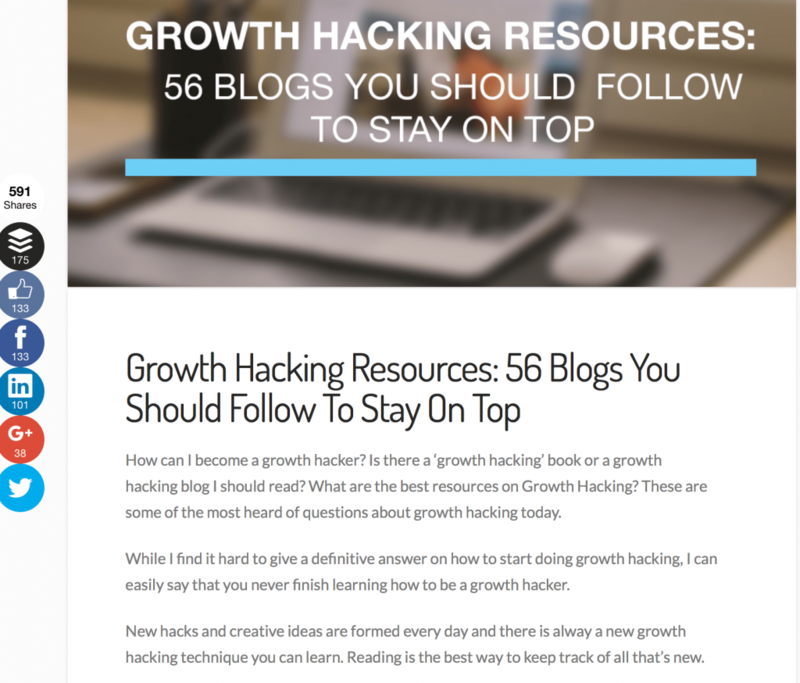 But why not migrate all blog posts to the new blog? As said before, I was in the midst of the process when decided to leave it behind and go for a fresh start. It wasn’t an easy decision to make, but I weighed my pros and cons and decided to move on. Migrating your content to a new site, shouldn’t necessarily hurt your SEO effort. Sure, it might take some time for your new website to start enjoying organic traffic and Google’s trust, but you still have your content on it, so in the long term it will probably be OK. BUT – so many things can (and usually will) go wrong in the process. Nothing some good technical SEO work can’t fix. But still a hustle. Also, looking back on some of the earlier content on that blog, I didn’t feel like I would want it on my new blog. Because the old blog design looks similar to my current website, and it’s currently fully integrated (cross-links, information, navigation bar, etc. ), I’m OK with traffic going to the old blog. Regarding the migration work – I might be accused of making a ‘lazy’ decision, but in combined with my second major ‘con’ (coming up) and the fact that I’d rather be looking forward dealing with new content, I’m happy with this decision. This is what helped me make up my mind. Let’s say that I’ve migrated my old content to my new WordPress blog. The SEO aspect is dealt with perfectly (redirection included), everything is working, and all my old blog posts are sitting there in chronological order for everyone to discover. Perfect right? All those posts, which built up my reputation as a content marketer, will be displayed without their social proof. Instead of having a decent looking archive of what I’ve achieved, my readership, my audience – it will now look as if I have 70 great to read blogs – but with zero shares. Distribution and engagement failure. Some of my old blog posts have hundreds, others have thousands of shares! And because they’d be redirected, nobody will ever know. This means my social proof will be gone. GONE! I’d rather people finding out the old content in all it’s social glory, and then click on “visit our new blog” bar than letting my successful past-content look like a graveyard. Sure, they will get more shares on the new blog as well. But I feel like it will make new audiences lose trust. You know what, they’ll be quite a few obstacles in growing a new Real estate, and for me, that’s the most fun part. I think that as a growth expert/content marketer you always have to stay on your feet and prove you can re-build your online property time and time again. Of course, my leverage now is bigger than it was when I started the original blog, but still, growing a new piece of online land is hard work and challenge. Also, this is a great opportunity for my team to be a part of growing a new blog which 100% owned by us. We do it for clients all the time, but there’s something special about doing this for your brand. I’m going to use this opportunity to get them involved and be a part of a growth process total owned by us. Starting a new blog – Are you with me for the ride? Did I make a smart decision? Time will tell. But for now, you’ll get a chance to see the behind the scenes of how I grow a new blog and tactics I use. I will share as much as I can about the road and process we’re going through to grow the blog. 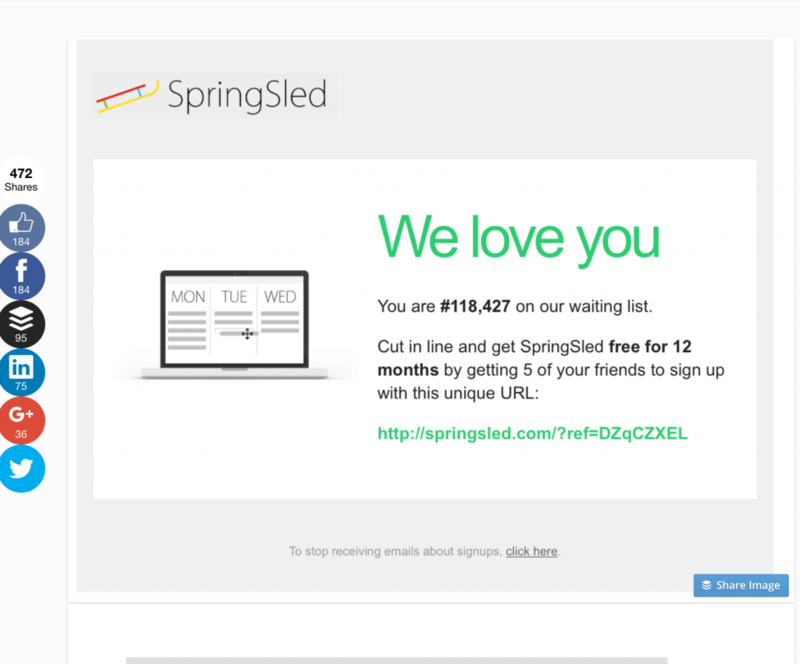 Want to get updates about new content, growth hacking tactics and content marketing tricks? This is a great opportunity to join! Subscribe to our newsletter to get tons of valuable content and resources. Super valuable. Just started my first blog for tech entrepreneurs (as a developer with entrepreneurial mindset myself) and would love to get insights to build it in parallel with your great advices.